Replacing your current water heater with a better model? Call Professional Plumbing. We provide prompt and affordable water heater installation services for Placer and El Dorado County. Thinking of using a chain store? You may want to reconsider. Since we are a locally owned business, you can be sure your needs will be looked after and your water heater will be installed in an efficient manner. We guarantee the best service from an honest and reliable local plumber, because we want you to call us back for all your plumbing needs. So we will do our best to make sure the installation is done economically and professionally. New water heater outside your budget? ** A current trend in the water heating industry is moving toward tankless water heaters. They are much more efficient. Instead of holding a reservoir of pre-heated water, a tankless heater heats water when you need it, as you need it. They usually use natural gas to quickly heat water directly before you use it. Upgrading to a tankless water heater can save you a substantial amount of money annually on heating costs. 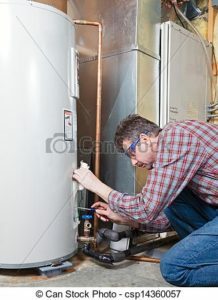 But know that the initial installation investment is more expensive than a traditional water heater. But if you are wanting to living a bio-friendly lifestyle, a tankless water heater installation may be for you.